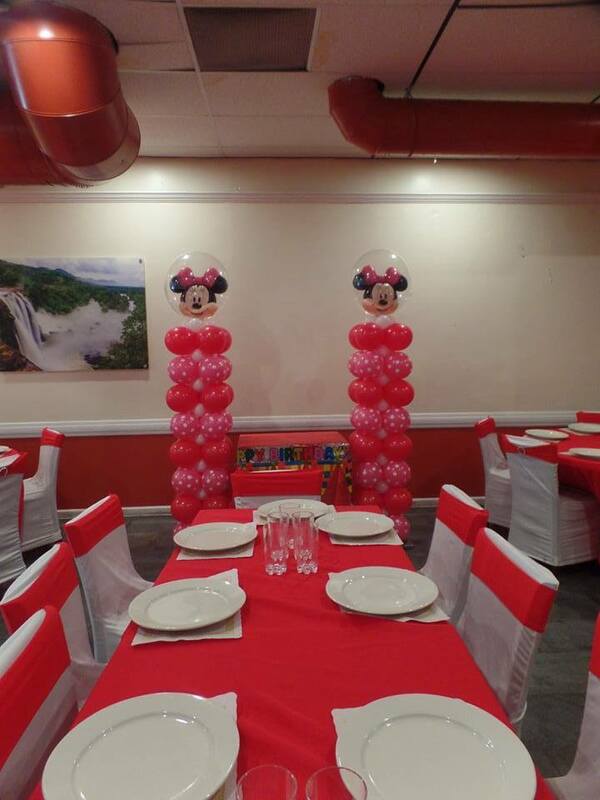 For this party, I created two balloon columns in red, pink polka dot and white. 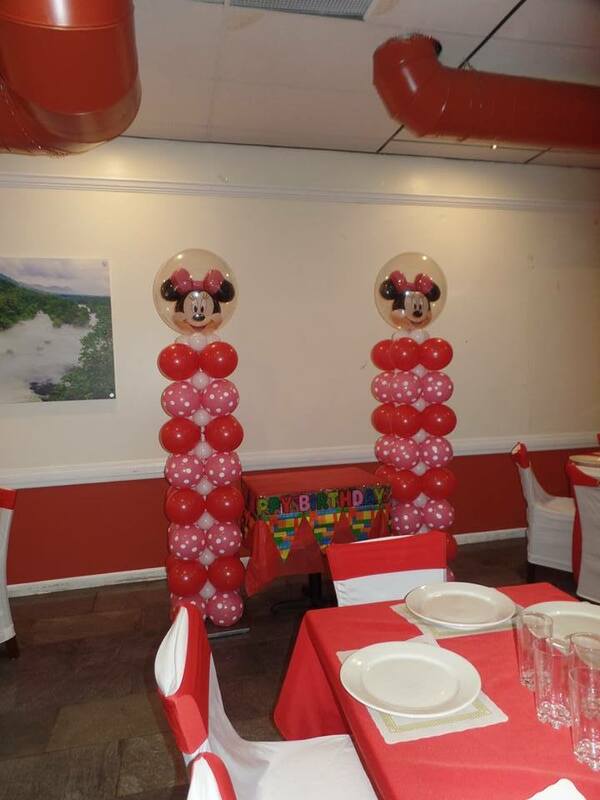 For the column toppers, I used a double bubble Minnie balloon. 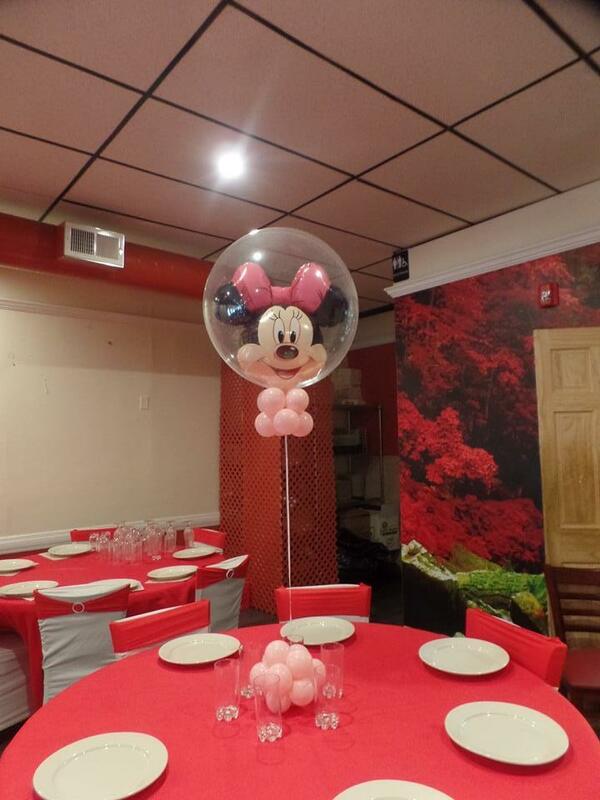 I also used a double bubble for centerpieces. 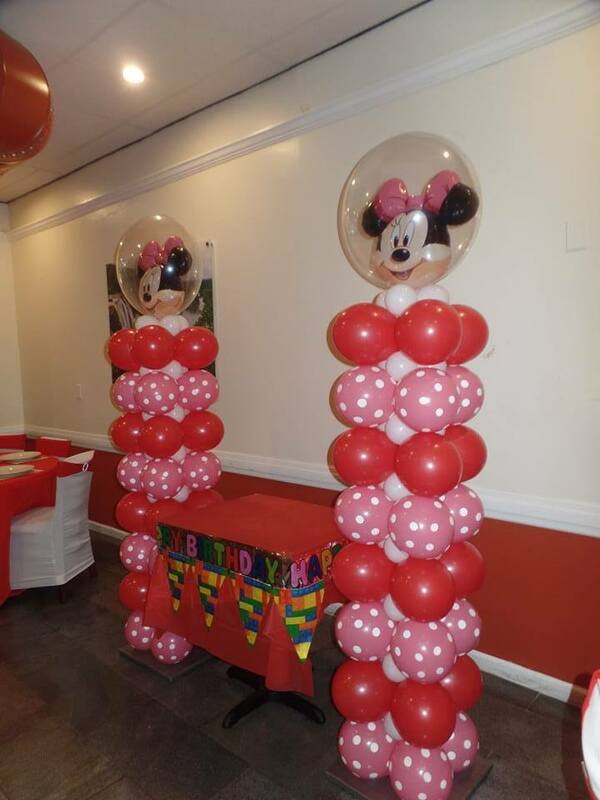 Notice the balloon weight.